Last week I was in Crouch Hill for a meeting, which unfortunately ended quite early. It was still the middle of afternoon and while I was walking back to the bus stop I could just think about wasting money and time to come down all this way for nothing! That's when I spotted this shop sign on the other side of the road that read "Gluten Free Breads Pastas Grains." Even though I like using natural ingredients, I am not necessarily an organics person. 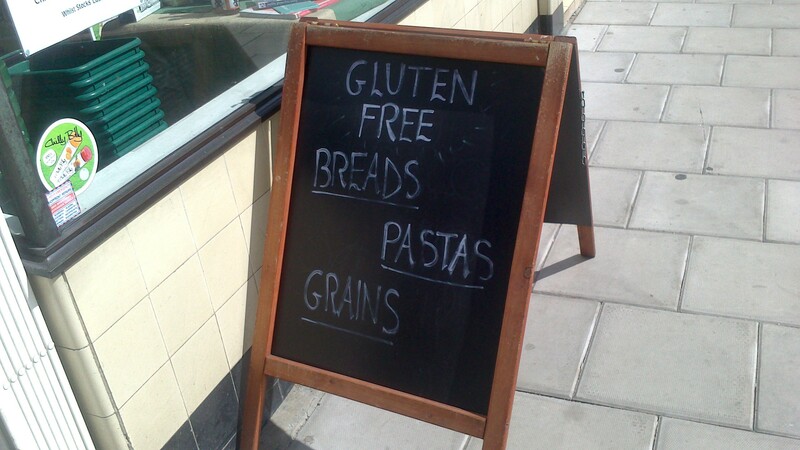 But somehow I was curious to check out this 'different looking' shop. I went in and the shop seemed pretty empty as far as customers were concerned – there was just one girl looking at some shelves, while the two shop attendants were busy re-stocking. I looked around wondering what should I look for now that I am already inside the shop, before asking one of the attendants about where they kept their teas. 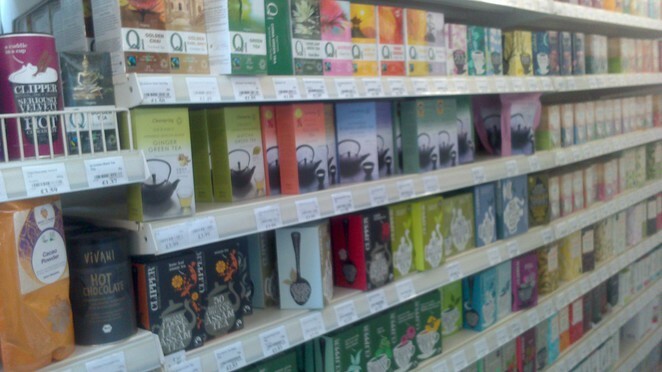 I had hoped for it to just be a section of a shelf (akin to supermarkets), however to my surprise, they had a full section dedicated to organic teas! Now now, don't go out branding me as some tea enthusiast – I prefer coffee to tea, but I am always open to trying out new flavours; and this shop had lots to offer. Ginger, Cinnamon, Spicy – you just name it. I however, decided to look for Tulsi (Holy Basil) tea. I haven't had a decent cup of chai (lazy as I am, it's a pain cleaning up and a cuppa is always easier to make) for quite a while and I remember that my mother sometimes used to add a Tulsi leaf to tea whenever I had a cold or cough. 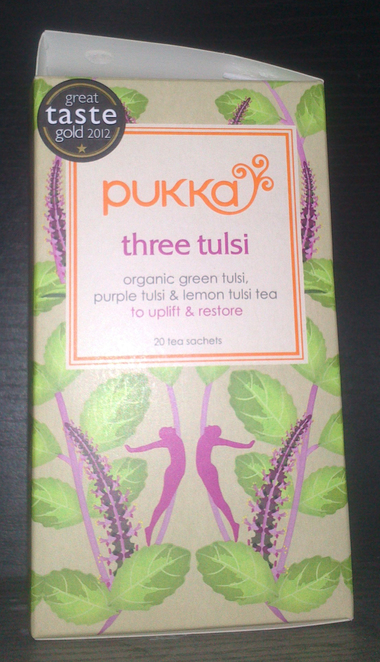 To my delight, I found a Three Tulsi Tea and I could smell it's scent from even under all that packaging. After paying for the tea, I enquired about the shop and the attendant told me that they only have two shops in London, the other one being the bigger shop and just a little walk away. 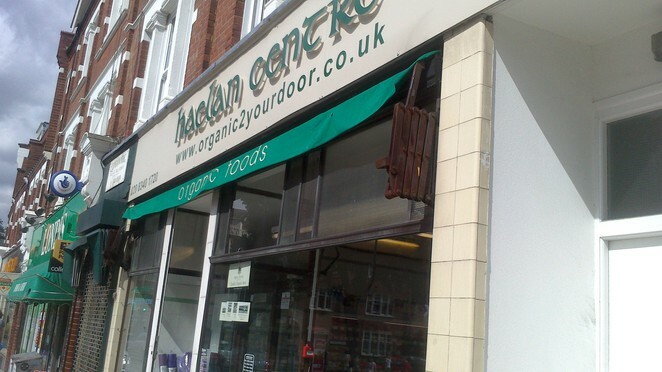 The Crouch End store also has a herbal dispensary (Open: 1-6pm Tuesday - Friday; 10am - 6pm Saturday ), of which you can become a member for £10. 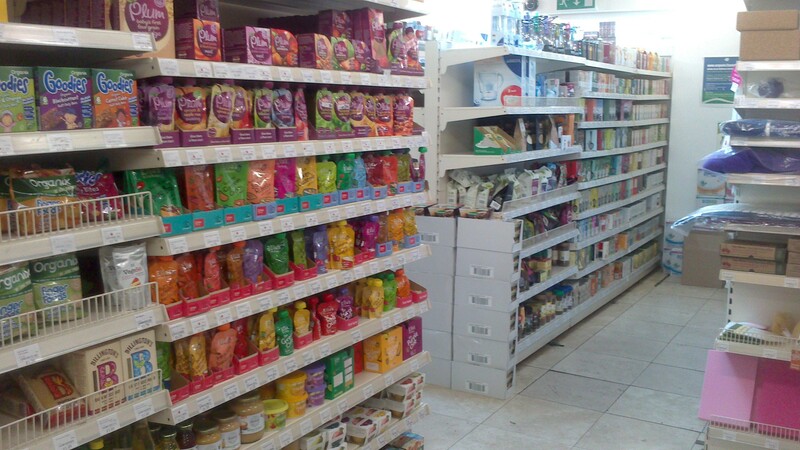 Haelan Centre also provides home delivery services for their products. I tried the tea later that evening and it tasted fresh and good, but a little too strong for my taste; one tea bag should be good for two cups. I would recommend this shop to anyone looking for quality organic ingredients and a good selection of teas.